It started with Delhi. That’s was my destination post my Amritsar trip and I was to take a direct train from Old Delhi to New Jalpaiguri, from where I had to catch a bus/jeep to Darjeeling. Now, one thing I know a lot of people know about Old Delhi… If you don’t then hey, a warning, Old Delhi, by far is really horrible in terms of Hygiene, so be careful. 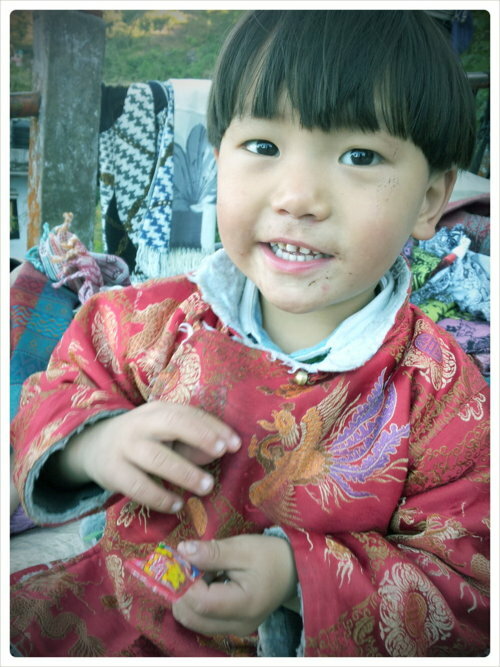 Another mistake I made was I took the Sikkim – Delhi to NJP Mahananda Express. Never ever take this train as it’s always late, no charging points in the train and no water in the train either, with filthy washrooms… Trust me, this one you can avoid. 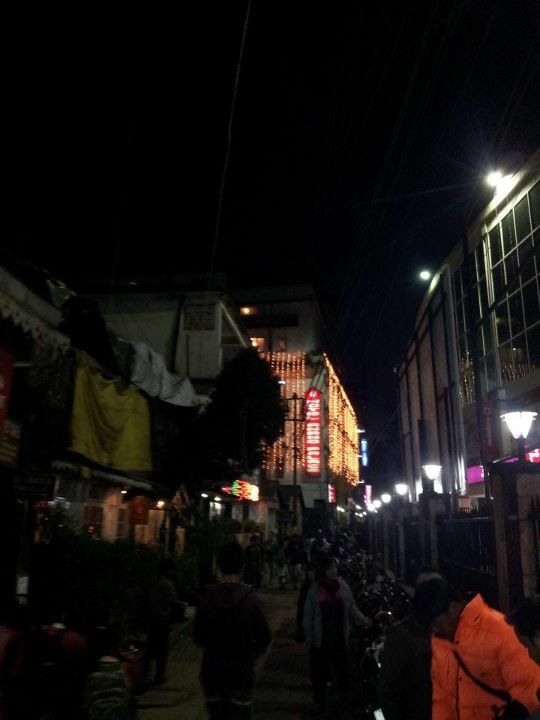 All said and done, after being 12 hours late, I reached New Jalpaiguri… I knew the wait was going to be worth it, since I couldn’t wait to reach Darjeeling. So much so, that I had to stay overnight in a lodge as it was kind of dangerous to drive up, especially at 2 AM in the morning… I joined a couple of fellow passengers from the train… They were to go some place near, but decided to do so the next day. 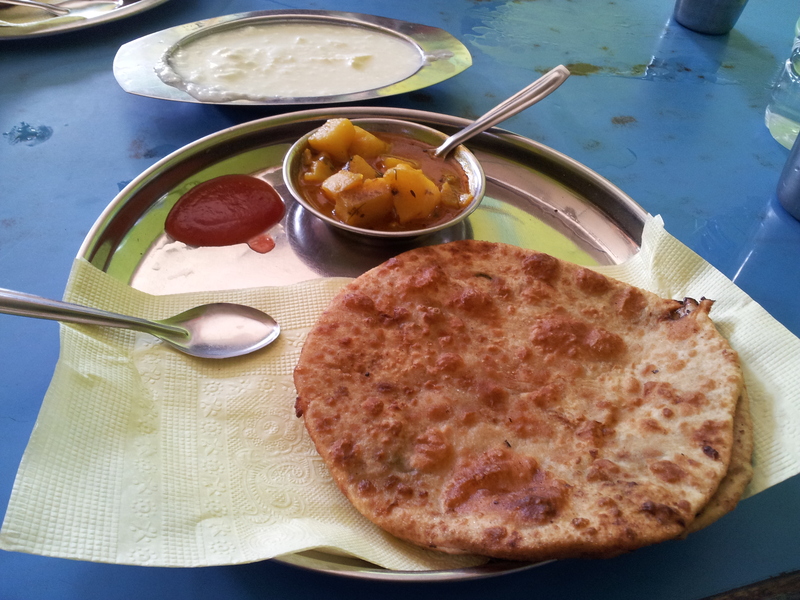 Once the breakfast was over, It was time for me to catch a jeep to Darjeeling. Usually they take you for 200 bucks and you have to share your ride with other passengers, but it’s a good deal. Either ways you can choose to wait for a bus and get a cheaper deal. But all in all it’s a great idea to go in a jeep as you’d end up reaching faster! 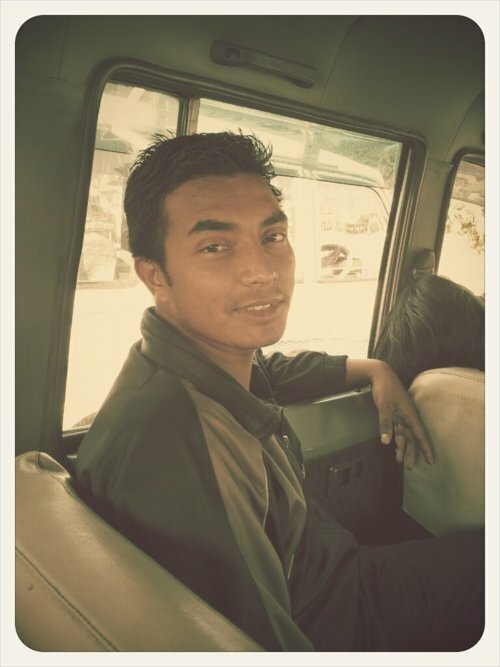 Meet Bishal, from Section 2 IC of the Indian Army. Posted at Kargil LOC (No Mans Land) He was going Home to meet his folks in Darjeeling. 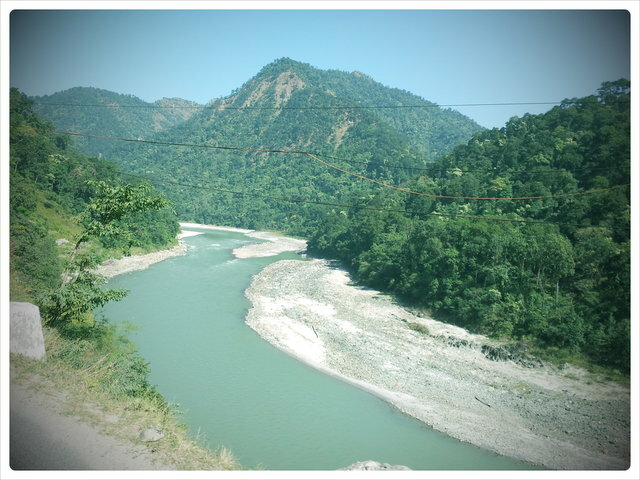 As our jeep swayed into the curvy mountains heading up towards Darjeeling, we got this beautiful and picturesque view of the Teesta River. 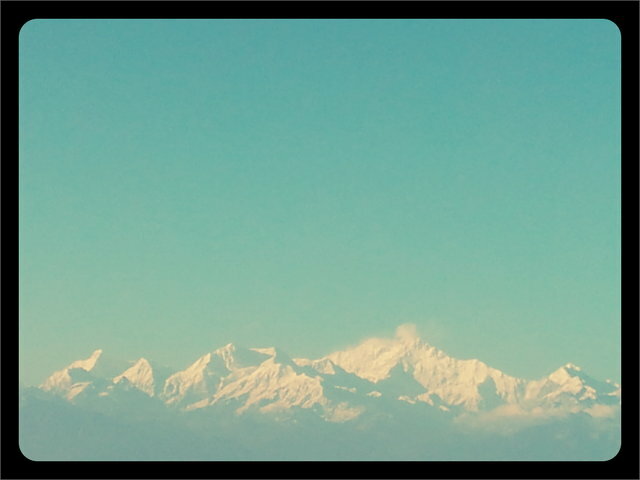 An enchanting look into the blue waters surrounded by the amazing Mountains leading up towards the Kanchenjunga peak!!! Was quite breathtaking. 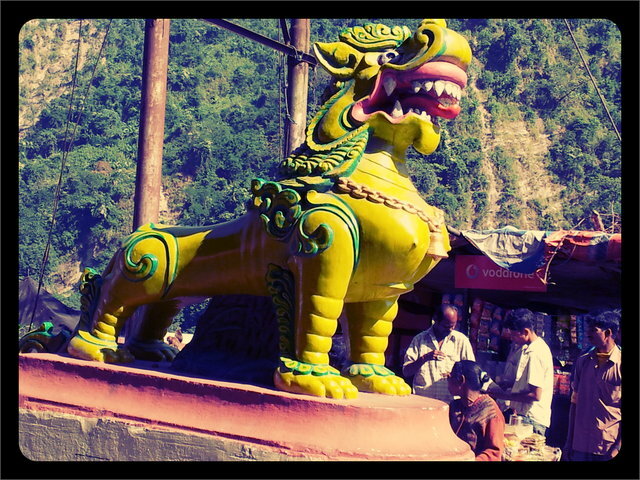 A flavor of the North East India, with a dragon statue near the tiger bridge while on our way towards Darjeeling. 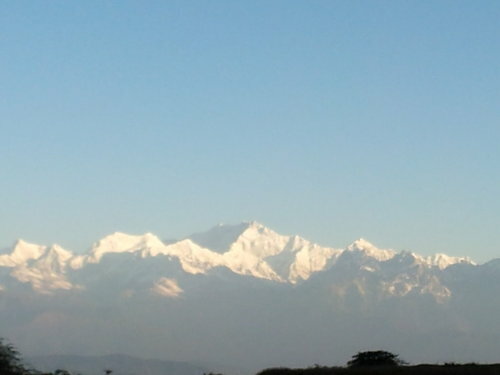 As we approach Darjeeling, we get a clear view of the Kanchengjunga Peak. Also known as the Sleeping Buddha for it’s stark resemblance to the Buddha and the peaks representing him sleeping. 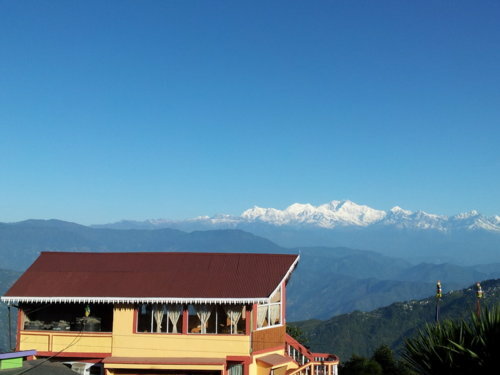 As soon as I enter Darjeeling, it’s cold and we can feel freshness in the air and also a chilled out atmosphere which really gives me a completely different feeling. It’s as if we’ve entered a fashionable town with a lot of guys and girls on a fashion parade while the towns modern fresh look also blew me away. Besides that of course the Municipal tower and a couple of other heritage / ancient structures gave me a mixed feeling about this place all together. 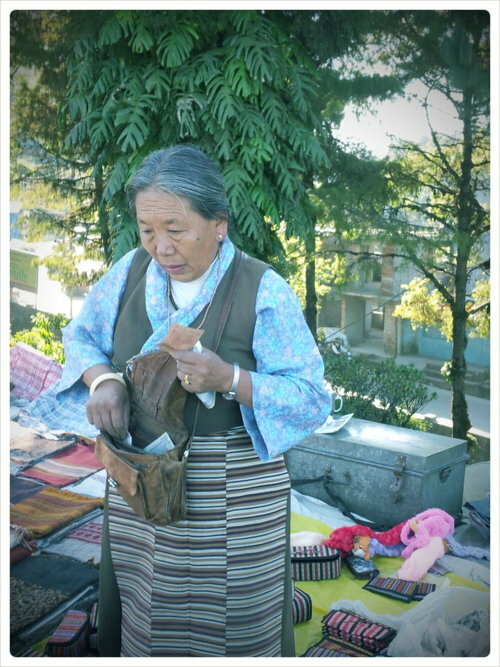 I had about two days to explore Darjeeling before we head out for our Sandakhpu-Gurdum trekking expedition. So I decided to make the best out of it. 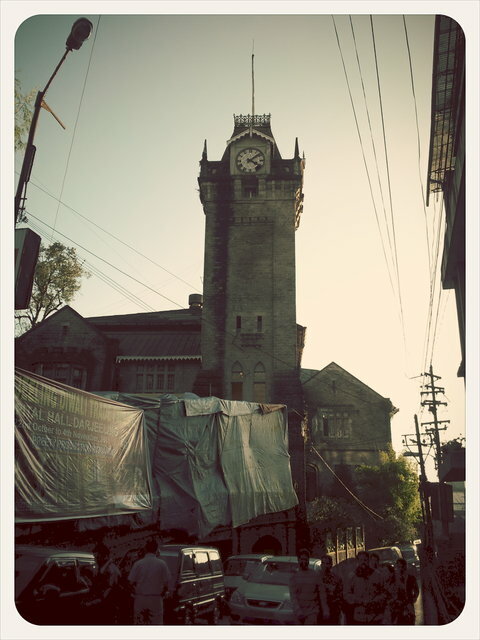 Darjeeling municipality building tower clock. 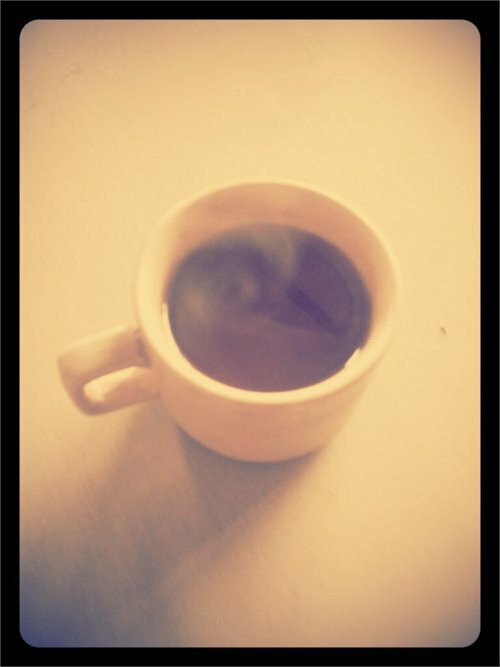 Since 1850. 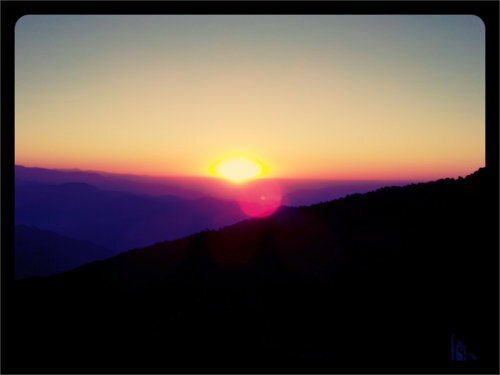 That also meant that pretty soon I had to go to bed cause the next day I had to wake up early and go to Tiger Hill to view the Sunrise across the Kanchenjunga Peak! But not before I beat the cold with some drinks at Joey’s Pub. Yes a very small British ambiance tavern, where you’ll find mostly British or Canadian tourists hanging out listening to retro numbers and chilling out! I went there with Mr. Shashi Patel, a businessman from Los Altos California I met while strolling around Darjeeling station. He was going to be my company to the sunrise point as well. So we decided to chill out and hang around for a while and talk about stuff here and there over a couple of drinks. 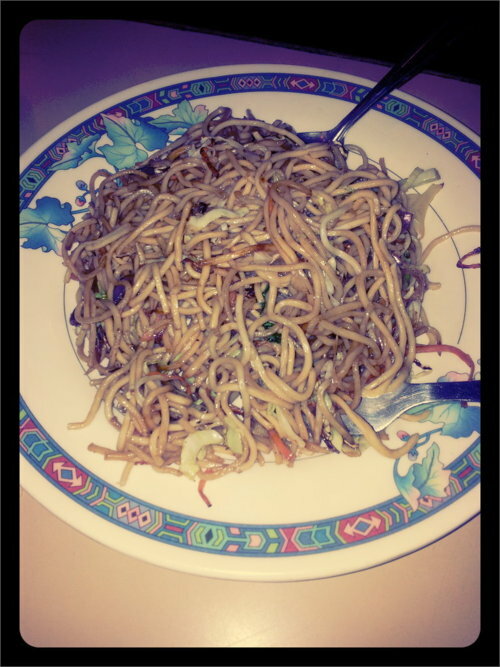 While I did that, I must say, the amazing Chow Min I ordered from the Joey’s Pub, was superb!!! 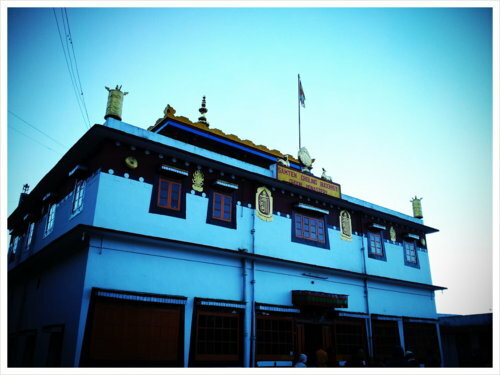 The next day was a short trip across Darjeeling where we visited the Sunrise Point At Tiger Hill, the Ghoom Monastery and a few other spots early in the morning. 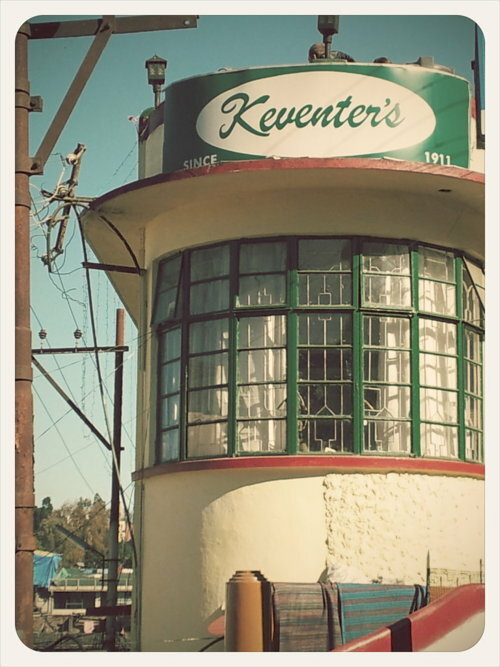 Also fascinating was the rooftop breakfast at Keventer’s cafe which is a 100 year old Cafe in Darjeeling! 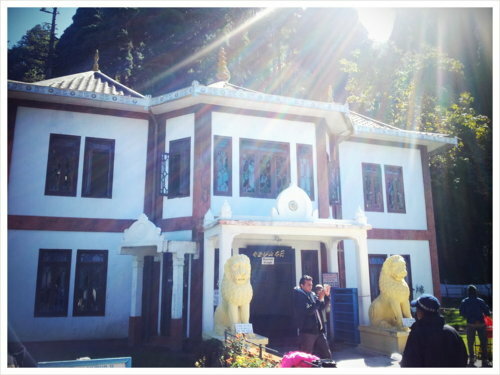 After the visit at the Keventer’s cafe and of course the early morning trip to Sunrise point, Ghoom Monastery and other places, nothing was better than a hot cup of special and very tasty Darjeeling Tea! All in all it was totally a trip that was worth it. 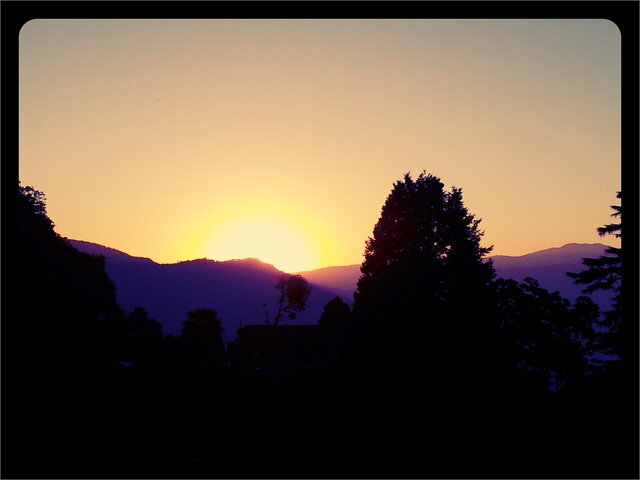 Darjeeling is definitely the Queen of all Hill Stations I must admit. 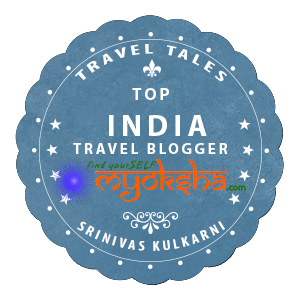 This entry was posted in East and tagged Darjeeling, Ghoom, Hill Stations, Japanese Pagoda, Kanchenjunga, New Jalpaiguri, North East, Queen of Hill Stations, Sikkim, Teesta Rvier, Tiger Hill, Tour, Travel, Travelogue, Trip on January 1, 2012 by srinistuff.